The English Standard Version is a literal translation from the original Bible texts, firmly rooted in the tradition of Tyndale and King James but without their archaic language. First published in 2001, it is closest in style to the Revised Standard Version and is well suited to public reading and memorization. 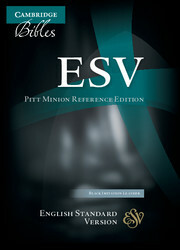 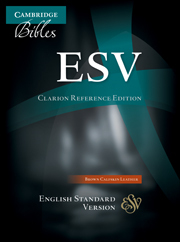 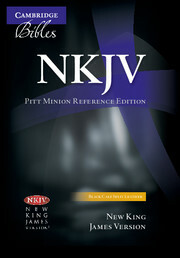 This Cambridge edition of the ESV is in the slimline Pitt Minion format, characterized by an elegant text design using a font that is compact, yet clear and easy to read. 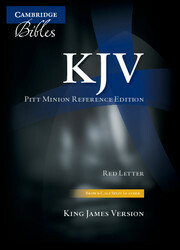 The Bible has red-letter text and includes cross-references, a concordance and maps. It features gilt-edged India paper and like all Cambridge Bibles is Smyth-sewn. 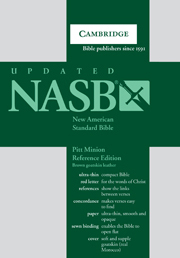 It is bound in brown calf split leather.